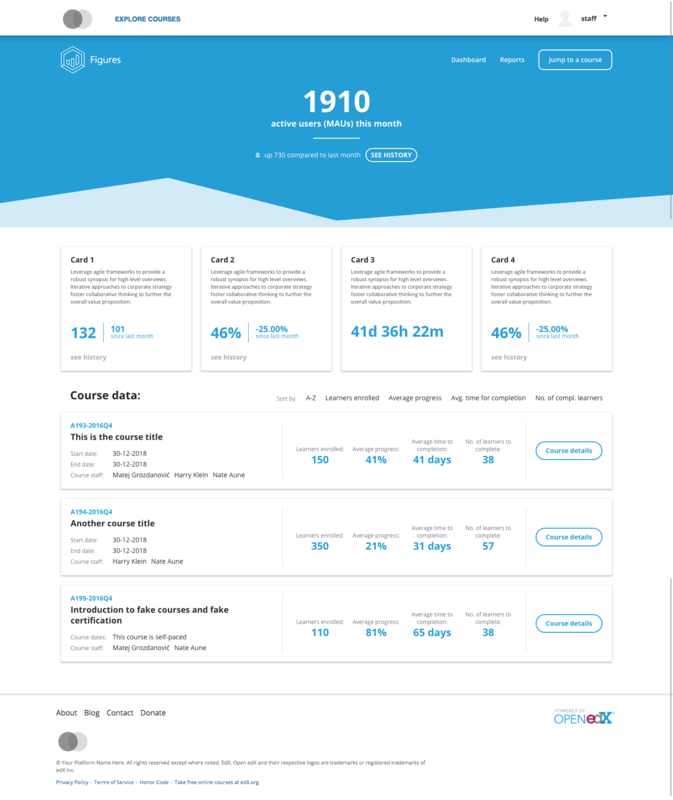 For all of the time and money that’s spent building, optimizing, and launching training courses in Open edX, isn’t it odd how little learning professionals actually know about them? That’s why we decided to build and open source Figures, a lightweight reporting tool for Open edX designed to provide rich insights into how your courses and learners are performing. Limitations with Instructor Dashboard: Our customers found that downloading reports from the Instructor Dashboard were too limiting – with current capabilities only providing course and learner administration functionality with basic stats and .csv file downloads. Cost of edX Insights: A complex analytics tool, edX Insights requires significant infrastructure and expertise to operate, making it an expensive option. Also, Insights was primarily designed on the MOOC scale, so it may fall short for use cases outside of this target. Time-consuming data dumps: Customers found working with raw data dumps to be a very manual exercise, as they require lots of time, effort, and analytical expertise. 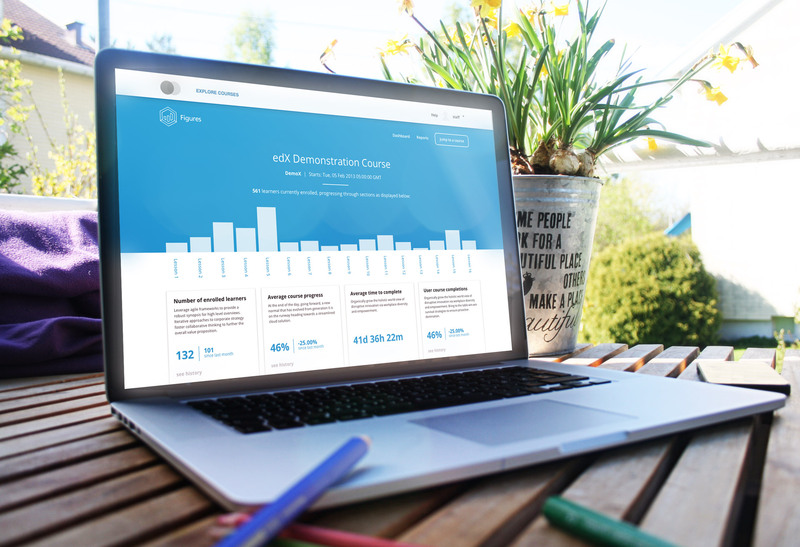 Site-wide aggregate metrics dashboard to provide birds-eye view into total site enrollments, activity, and learner progress with historical information to identify trends. Course metrics summary cards for each course in a sortable list allowing site administrators to scan over enrollments, completions, and progress for each course. Admins can now immediately see which courses are the most (or least) popular or have the most (or least) learner progress. While these enhancements move the needle for reporting in Open edX – this is only the beginning. After our initial rollout, we will continually improve Figures to provide rich, customized reports that visualize the data in dynamic charts, tables, and downloadable files for easy interpretation. Figures is a Django reusable app and is external to the edX platform so it must be installed. We’ve open sourced this feature so you can go to the Github repository at anytime to see the work in progress in code. Figures has a react front-end, Django rest APIs on the back end, and plugs-in to the Open edX LMS. In its current version, the feature is targeted towards Gingko, and will be made available on Hawthorne in future iterations. By introducing rest APIs, users will be able to limit data for better filtering like by organization name or keyword. Our main goal with this build was to make the install simple, fast, and easy for people to play with. The best way we can improve Figures is by sharing ownership. So as we look to the future, we hope to cultivate a sense of collaboration with the larger Open edX community to rapidly innovate and improve the efficacy of analytics. Together, we aim to build the best reporting tool that provides course authors, instructors, and training professionals with flexible and user-driven reporting that informs decisions, improves performance, and streamlines the entire process. We hope to get feedback on Figures from the Open edX Community, and will be doing a special demonstration during the 2018 Open edX conference. For a live walkthrough, visit the Appsembler booth during the conference, or click here to view the schedule session. For those of you who won’t be attending, here’s a link to a recent demonstration highlighting the early progress we’ve made on Figures. Awesome, how soon can we have the “hawthorn” version?